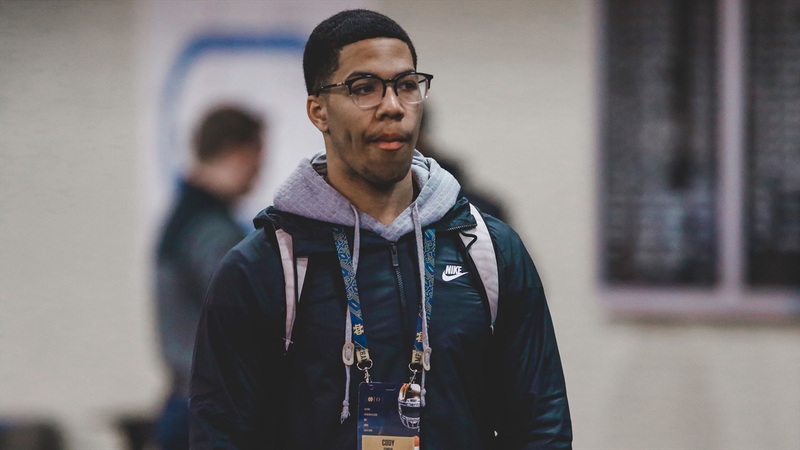 It was a big recruiting weekend and 2020 St. Peter’s Prep (N.J.) linebacker Cody Simon‍ was one of the headliners on the visit list. The 6-foot-2, 215-pounder had been to Notre Dame as his brother, Shayne, is currently a sophomore linebacker, but this trip was about finding out about the school for himself. “It was a great visit,” Simon told Irish Sports Daily. “I enjoyed the school, the team and they had a great practice. It was great to see that. The four-star prospect was able to take in Saturday’s practice and Simon was impressed with what he saw from the Irish linebackers and defensive coordinator Clark Lea. Laser focus is one of Notre Dame’s Traits of Excellence, so Notre Dame fans will be pleased to see Simon is on point with his terminology, but the focus on winning a championship stood out to the New Jersey native. Lea has made a big impression on Simon over the past year, so reconnecting in person was a significant opportunity for both sides. Simon also mentioned where Lea saw him fitting into the defense if Notre Dame was the choice. While Notre Dame’s campus was filled with recruits on Saturday, Simon wasn’t able to connect much with other prospects, but that wasn’t a bad thing as he spent time with members of the team on Friday. It’s apparent Simon enjoyed his trip to South Bend and the program checks the boxes of what Simon is looking for in a future home. Up next for Simon will be a trip to another Midwest powerhouse and then he’ll start planning out his official visits. “I’m going to Penn State next week and during my spring break, I may go out to some schools,” stated Simon. “We haven’t planned any official visits yet. They will be coming down the road.